The research — conducted by a team from the Universities of Melbourne, Zhejiang, Fudan, Wuhan and Stanford — is published today in the Proceedings of the National Academy of Sciences. University of Melbourne and Zhejiang researcher Baojing Gu said: “China is the world’s largest consumer of agricultural chemicals, using more than 30 per cent of global fertilisers and pesticides on only 9 per cent of the world’s crop land. “Our study sought to understand the reasons for overuse of agricultural chemicals, because addressing this is critical to the sustainable development of Chinese agriculture,” Dr Gu said. University of Melbourne Professor Deli Chen said: “In recent years, the Chinese government has made efforts to reduce excessive use of agricultural chemicals, but the effects have unfortunately been limited. “While economic growth has been associated with increasing farm size in other countries, in China this relationship has been distorted by land and migration policies, leading to the persistence of small farm size,” Professor Chen said. “Small farm size has proliferated in China, largely due to the misallocation of cropland and labour caused by the barriers to the movement of labour and the limits on transfer of cropland use rights,” Dr Gu said. “This contributes to the overuse of agricultural chemicals in a number of ways. The study shows average farm size in China has changed very slowly despite the country’s strong economic growth and urbanisation. From the 1980s to 2000s, the country’s average farm size decreased and has increased slowly since the 2000s. This pattern differs substantially from other developed countries. It also shows 98 per cent of households that run farms own a farm measuring less than 2 hectares in China — a much higher proportion than in other world regions, even Africa. “The findings in our paper have far-reaching implications for many less-developed countries. 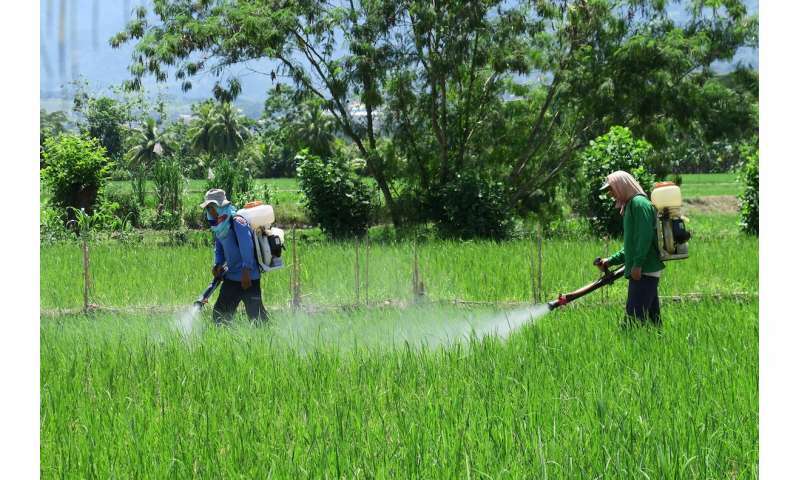 While agriculture in less-developed countries, especially in some sub-Saharan African countries, is currently suffering from a deficit in agricultural chemicals, their availability will increase with economic growth,” Professor Chen said.